At least 35 parents have been indicted on federal charges. Oscar-nominated actress Felicity Huffman is among 14 defendants who have agreed to plead guilty in the "Varsity Blues" college admissions scam that rocked elite schools this spring. Huffman, 56, and the other defendants will each plead guilty in U.S. District Court in Boston to a charge of conspiracy to commit mail fraud and honest services mail fraud, federal prosecutors said Monday. She faces a maximum sentence of 20 years in prison, three years probation and a $250,000 fine, based on the prosecutors' recommendation. Shortly after the announcement, Huffman released a statement saying she is "ashamed of the pain" she has caused her family. "I am pleading guilty to the charge brought agaisnt me by the United States Attorney's Office," Huffman said in her statement. "I am in full acceptance of my guilt, and with deep regret and shame over what I have done, I accept full responsibility for my actions and will accept the consequences that stem from those action." 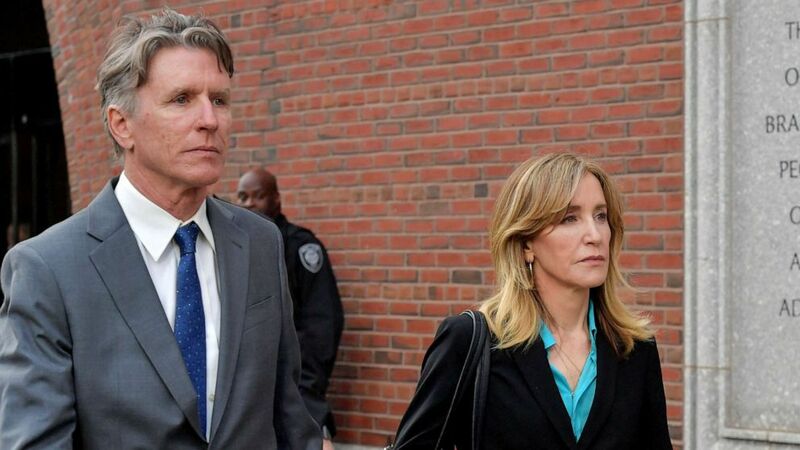 (Paul Marotta/Getty Images) Felicity Huffman exits the John Joseph Moakley U.S. Courthouse after appearing in Federal Court to answer charges stemming from college admissions scandal, April 3, 2019,in Boston. The actress -- famous for her Academy Award-nominated role in "Transamerica" and for playing one of the main characters in the television show "Desperate Housewives" -- allegedly gave $15,000 to William "Rick" Singer, who prosecutors identified as the ringleader of the nationwide scam, "to participate in the college entrance exam cheating scheme on behalf of their oldest daughter," court documents allege. I am ashamed of the pain I have caused my daughter, my family, my friends, my colleagues and the educational community. "I am ashamed of the pain I have caused my daughter, my family, my friends, my colleagues and the educational community. I want to apologize to them and, especially, I want to apologize to the students who work hard every day to get into college, and to their parents who make tremendous sacrifices to support their children and do so honestly," Huffman said in her statement. The group of 13 parents and one university athletic coach -- Michael Center, 54, former head coach of men's tennis at the University of Texas at Austin -- agreed to plead guilty to charges including "using bribery and other forms of fraud," according to a statement from the U.S. Department of Justice. Plea hearings for the defendants have yet to be scheduled. Together, the 13 parents allegedly paid more than $1.8 million in bribes to Singer to rig their children's college entrance exams and get them into elite colleges across the country by bolstering their entrance applications with fictitious information. (David Madison/Getty Images, FILE) A general view of the campus of Stanford University including Hoover Tower and buildings of the Main Quadrangle, Oct. 27, 2018, in Palo Alto, Calif. The news of the plea agreements came after Stanford University announced it had expelled one student caught up in the alleged nationwide college admission scandal after the school launched its own probe and found she used phony sailing credentials to bolster her entrance application, officials said. The ousted Stanford student, who was not identified, is one of three student applicants to the private Northern California school who have been investigated in the aftermath of the scam that cast a shadow over its admissions process. 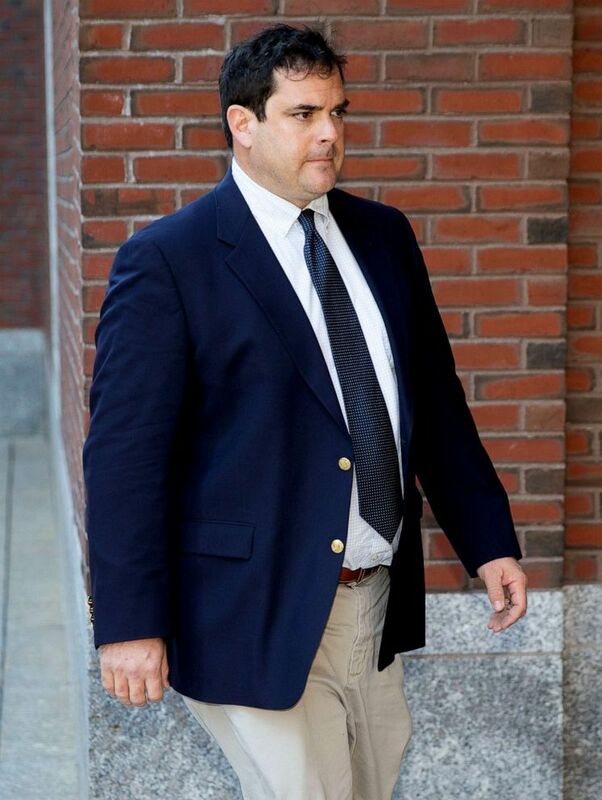 The school's sailing coach, John Vandemoer, was fired last month after pleading guilty to one count of racketeering conspiracy stemming from the nationwide scandal. The university said the expelled student is the only one under investigation who was admitted to the Palo Alto school. 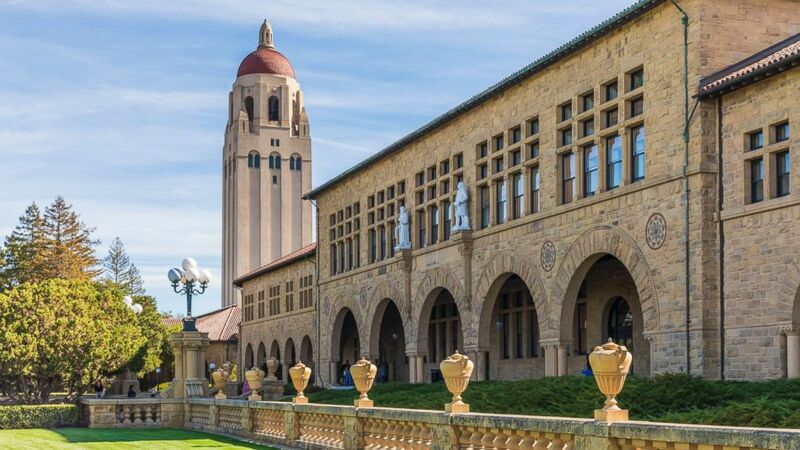 "We determined that some of the material in the student’s application is false and, in accordance with our policies, have rescinded admission," Stanford officials said in a statement. "Any credits earned have also been vacated. The student is no longer on Stanford’s campus." (CJ Gunther/EPA via Shutterstock) John Vandemoer of Stanford, Calif. former sailing coach at Stanford University outside of the John Joseph Moakley Federal Court House in Boston, March 12, 2019. Huffman and actress Lori Loughlin are the highest-profile defendants named in the indictment. Loughlin, 54, best known for her role as Aunt Becky in the ABC sitcom "Full House," was charged in the scam along with her husband, fashion designer Mossimo Giannulli, 55. Loughlin and Giannulli both made their first appearances last week in Boston federal court, but have not entered a plea to the charges. The other parents who have agreed to plead guilty include Bruce Isackson, 61, and his wife, Davina Isackson, 55, their attorney, David Willingham, told ABC News on Monday. Our duty as parents was to set a good example for our children and instead we have harmed and embarrassed them by our misguided decisions. Bruce Isackson, the president of a California commercial real estate investment firm, and his wife are charged with conspiracy to commit mail fraud and honest services mail fraud. They allegedly gave Singer more than $600,000 in stock, including shares in Facebook, in exchange for rigging one of their daughters' ACT tests and for getting her into the University of Southern California as a rowing recruit even though she was not a rower, according to the indictment. The couple also gave Singer stock to get another daughter into UCLA as a soccer team recruit despite never having played competitive soccer, according to the indictment. "No words can express how profoundly sorry we are for what we have done," the Isacksons said in a statement released Monday. "Our duty as parents was to set a good example for our children and instead we have harmed and embarrassed them by our misguided decisions. We have also let down our family, friends, colleagues and our entire community. We have worked cooperatively with the prosecutors and will continue to do so as we take full responsibility for our bad judgment." Singer, 58, of Newport Beach, California, pleaded guilty in a Boston federal court last month on charges of racketeering conspiracy, money laundering conspiracy, conspiracy to defraud the United States and obstruction of justice. (Brian Snyder/Brian Snyder/Reuters) Actress Lori Loughlin and husband Mossimo Giannulli leave federal court in Boston, April 3, 2019. Singer allegedly accepted bribes totaling $25 million from parents between 2011 and 2018 to get their children into elite colleges, including Yale, Stanford, USC, UCLA, Georgetown, the University of Texas at Austin, the University of San Diego and Wake Forrest. Mark Riddell, 36, a private school counselor in Bradenton, Florida, who allegedly worked closely with Singer in the scam is also expected to plead guilty to charges of conspiracy to commit mail fraud, honest services mail fraud and conspiracy to commit money laundering, according to court documents filed in the case. Riddell allegedly took college entrance exams for high school students as part of a cheating ring, according to the indictment. "I want to communicate to everyone that I am profoundly sorry for the damage I have done and grief I have caused those as a result of my needless actions," Riddell said in a statement last month. "I understand how my actions contributed to a loss of trust in the college admissions process."